Peas, Lettuce, Spinach, Lobelia and Geranium. In white or pastel shades, alyssum in the perfect little flower to tuck into the corners of beds, or you can grow it beneath tall vegetables or among herbs. 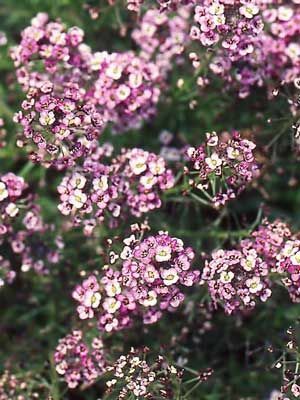 Alyssum is famous for attracting tiny wasps and other beneficial insects.